Enjoy 50% off when spending a minimum of £25. Enjoyed a birthday dinner with my husband and thoroughly enjoyed the food, service and atmosphere. Would definitely recommend and be returning. A good place to eat during the week. Nice and quiet. The restaurant was super quiet though but we did eat really early before heading off to a show! I wish I could recommend this place but unfortunately I can’t. The settings is very nice and there is a good atmosphere to it. However, we constantly felt pressured to order, the staff was unprepared about the importance of allergens and food contamination making it impossible for us to order having a celiac at the table with both the waiter and waitresses not fully aware of what had gluten in it and failing to gather any information from the chef even when asked twice. While leaving the premises greeting the staff we didn’t get any reply back. Definitely not a good experience. Food, drinks and service were great! Though bill produced at end of meal was not exactly 50 per cent off, just under. Plus 12.5 service charge was added based on on overall price not reduced price. Was still worth it but bills should be accurate and advertised charging clearer. Restaurant was closed despite booking! Tastecard, Open Table, and the Miusan page at Google said the restaurant would be open last Sunday at 2pm as I was even able to make an online reservation. However, when my wife, I, and our friends arrived there, Miusan was closed. 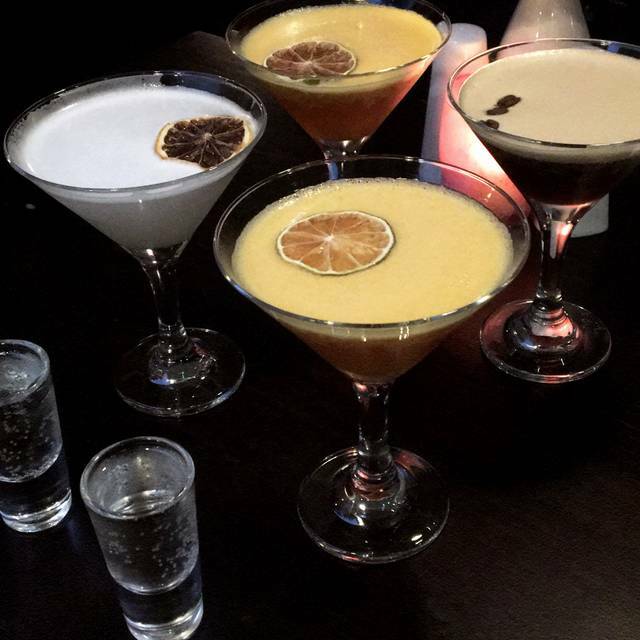 Had a really bad experience here, the food is bad, the cocktails had no alcohol in them and a party/club with full blasting music started halfway through our dinner..
Nice enough evening but very disappointed that the website suggests "book a table for your birthday" but does nothing to recognise this. It was my son's 21st and I had added this info to the booking but it was not acknowledged by any staff member. Then I asked while there "it's my son's 21st, please may we order something from the extended bar menu?" rather than the happy hour menu - to be told "no, happy hour is too busy for the barman to make the other cocktails etc" - it wasn't busy at all. On a more positive note, the food was good and my son enjoyed the club after but wouldn't recommend if you want a sense of occasion. Really disappointed with this restaurant, from looking at the menu I expected good things. The Dim Sum me and my friend both ordered wasn't cooked. Dim Sum should be served piping hot and it was luke warm in the middle and I could see the chicken wasn't cooked properly from the colour of it. The texture was also raw. We left these Dim Sum on our plate and when asked if everything was ok I told the waitress it wasn't cooked. She didn't say anything just took the plates away and then served our mains again without mentioning it. The main was ok, nothing to rave about but the fish was cooked well. Pretty small portion for £12.50. We had told the waitress we were going to a show and expressed we were concerned about time, she said we would have plenty. The time was running out so my friend had to get up and find the waitress to bring the bill as nobody had come to our table in a while. When the bill was brought over it still had the Dim Sum on it which I was shocked about, I asked for it to be removed along with the service charge to which no comment was made she just took it from the table and looked aggravated. She placed the bill back on the table when it had been amended without bringing the card machine knowing we were in a rush. My friend had to get up again to ask for the machine to pay. Really bad service, they would have been mortified knowing they had served raw chicken and offered to replace it, most certainly should not have left it on the bill. The restaurant was beautiful & the cocktails were really good. They have happy hour so I would definitely recommend going for cocktails. Its a shame the service and food let them down on this occasion. This place was very nice to visit and cosy! We arrived late in the evening and soon after there was a DJ playing music downstairs which we thoroughly enjoyed after we finished eating! The food was very delicious and would visit again. Had a lovely time with my husband . Its my 2nd time there and the atmosphere was the same as last time. Staff very polite and friendly. Very good food. Love the new menu. Went downstairs and had a good party with a good range of different ethnics #goodvybes. Lovely little Chinese restaurant in Camden, service was excellent and the staff really friendly. Food was great value for money, fresh and tasty. Pornstar martini was also good standard! Would definitely recommend, look forward to my return :)! Most amazing staff who are so friendly helpful. Food is always a delight here and great portions too. Such great value for money this is our third time here and will come back again. We had a normal meal, nothing exceptional but all in all OK. We selected this restaurant based on what Camden could offer for Chinese. The seating and service were good. Warm friendly welcome, excellent value, good choice and very tasty food. Good service, and good value for money. Food is overall good, but I would expect better service. Staff was dropping something on the floor all the time, bumping me twice, brought incorrect bottle of wine, serve drinks slowly, could realise which table order what.. Convenient location as close to the station and shops of Camden Town, but also slightly removed from too much of the bustle as on a pedestrianised street. Had a very attentive waiter who helped explain the ingredients in the various dishes so that I felt comfortable choosing something new. Great happy hour on bubbles, cocktails and beers too. Staff especially Waitress and barmen were very friendly and offered good advise on food / drinks. Food was good. Only complaint was that the crispy duck wasn't crispy. But good cocktails, very welcoming and pretty good value. I'd go again. Staying at the local Holiday Inn, looked for a specific dish to satisfy a 'picky' eater, chose Miusan and was not disappointed. Range of dishes quite varied & oriental but not extensive, so a bit difficult to combine - but then we found the reason - all the dishes (we had) were really excellent, and of course it is likely that the more variants you have the less well done they could become. Well done and thank you Miusan. Had high hopes for this restaurant, however the marketing /images on the website are actually better than the restaurant itself in the flesh. The AC was to high and the choice of restaurant background music was like being in bad west end night club, the waitress was amazing, super friendly, funny and entertaining- she was definitely the highlight of the night. The food was just ok, i was expecting alot more and it just never happened. I was expecting a fusion of asian flavours but what we got was average chinese food as a main. The starter was better than the main , but i could have ordered something at home and got the same or better flavours. This place is in a prime location in camden , the service was good but the food and vibe of the place needs to worked on. I was hoping to write a very different review! 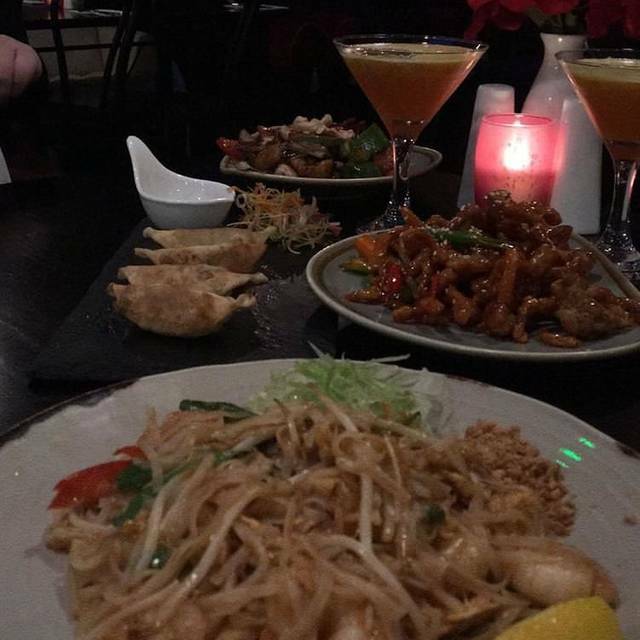 All the staff were very friendly and the food was excellent we will be returning. Myself and my partner found this little restaurant for our Valentine's dinner. We were really excited, our first initial thoughts was that it was a lovely restaurant. We were quite closely sat to the people next to us. It took around 20 minutes for someone to ask us what we would like for drinks. It then took an extra 20 minutes to ask us what we wanted for starters. I was pleased with the array of choices, however quickly disappointed when the food was bought to the table. I had ordered the prawns and squid tempura with guava jelly. I got to prawns and to small slices of squid, I think I got more batter than actual food in this part of the meal. The guava jelly provided looked like it had been the last of it in the kitchen as there was much of it in the bowl. Our mains was a disappointed, the chicken was over cooked, the rice was grainy and crunchy. Dessert was part of the three course meal, however I decided to skip that course as I did not think I could bare anymore disappointment. I was very disappointed with this meal especially as it totalled over £60. I would have enjoyed my local take away rather than this meal. I booked for Valentin's and there was no mention that we had to have the set menu until we got there. The food was like Chinese takeaway. The bill came to £70 and to be honest it would have been cheaper to go to the local Chinese takeaway. The deserts were horrible and not what was described. Awful. We waited nearly 10 minutes for our first round of drinks (there were only two other busy tables). The service was terrible, the food was average, loud awful music too! we won't be going back there that's for sure. I visited here during their soft opening. Described as "A new templed devoted to drinking & Pan-Asian dining, modelled on the opulent 1940’s opium dens of New York and Paris" on arrival the decor leaves a lot to be desired, it seems very cheap and poorly designed. Not giving the edgy, dark, interesting feel that the description made me imagine. I think it fails in that I must say that Miusan talks itself up a little too much - the description made me think of somewhere a lot more exciting, where as it just seems a bit old fashioned, less 1940's opium den, more 1980's caravan site party hall... With a spinning disco ball and small shiny bits of mirror stuck into and all over the wall and cliche 'Chinese' style wall decal stickers, its not quite living up to the description for me. The food was alright, the portions smaller than I hoped, and we were served by at least three different people at different times each not knowing that we had been previously served, all a bit confusing. The cocktails were interesting, and nice enough. Overall though, I am afraid I would not return. Wouldn't return to Muisan. I got the Thai green curry with chicken for my main. Some of the chicken was pink and all of it was grey and chewy. So only ended up eating the curry sauce with my egg fried rice. The decor upstairs was nice but downstairs looked like a cafe. Luckily I had a 50% off food voucher so didnt complain. If not I would have complained and definitely wouldn't of paid fully price. 1st impression wasn't great, receptionist was busy working on her computer upon our arrival & gave us a strange look that we thought we were in a wrong place. Food was good but portions vey small, not sure if it's was because it was a soft launch. Table was too small for the 3 dishes we ordered. Staff lacks experience & nearly dropped a pile of dirty dishes on me. We paid 50% for the soft launch, willn't pay full price for the portions we got. The plates & bowls they served the food on looked like they got them from nando's. Don't think it was worth the price we paid for. Fantastic food and value for money. Interesting choices for pescatarians such as myself. Only disappointment was that the dessert my friend and I had wanted had run out. We will definitely visit again. We had the scallops in honey and ginger, vegetable spring rolls and prawn and squid tempura to start. The batter on the tempura was very light and the squid and prawns cooked well. The scallops were amazing. We then had the Mongolian King Prawn dish and Sea Bass in Tamarind sauce with a side of plain rice. Both dishes were absolutely delicious, the sea bass was a little too spicy for me, but it had amazing flavours. Went during the soft launch. The food was amazing for the value. Especially love the soft shell crab! Ambience and service was good as well. We came here during the soft launch and I would come back to pay full price. The food we had was really good, especially the Penang Chilli Prawns and the Sweet Potato Chocolate Cake! We ate upstairs which was nice and the waitress was very lovely and attentive. The worse place I've ever been in London, the worse service and the food was horrible. We booked a table for 4 during the soft launch week with 50% off the food. The images on the website showed a lovely plush seating area but unfortunately we were seated at the back of the restaurant behind the bar. This area was very dark and we could hardly see the food when it eventually arrived. the decor downstairs was a bit tacky with garish green and blue lights and a framed Buddha picture that clearly needed cleaning with handprints all over it. We were even asked to shush by the bar staff for being a bit loud - which was ridiculous as we were in the load bar area. There were several errors with our bill which was eventually sorted out. All in all a very disappointing evening, definitely will not be returning here and would not recommend. Luckily we had 50% off the food but otherwise it was overpriced for what you got. Great location, close to the station. Food is nice and fresh especially King prawn &squid tempura and Mongolian king prawns were absolutely delicious. For dessert sweet potato chocolate cake is a number one. We were served by Carmen who was lovely and very attentive.